I had the chance to test this D620V canister dive light and despite all these kind of torch have been considered for "technical dives", I found really useful for fun and underwater photo dive! Once received, we can say that the professional case for travelling, it's really a protection against any acidental damage; opening the case torch, battery, charger, car-charger are well positioned. OrcaTorch D620 is very compact LED torch designed for underwater use, as for techincal divers as for fun. 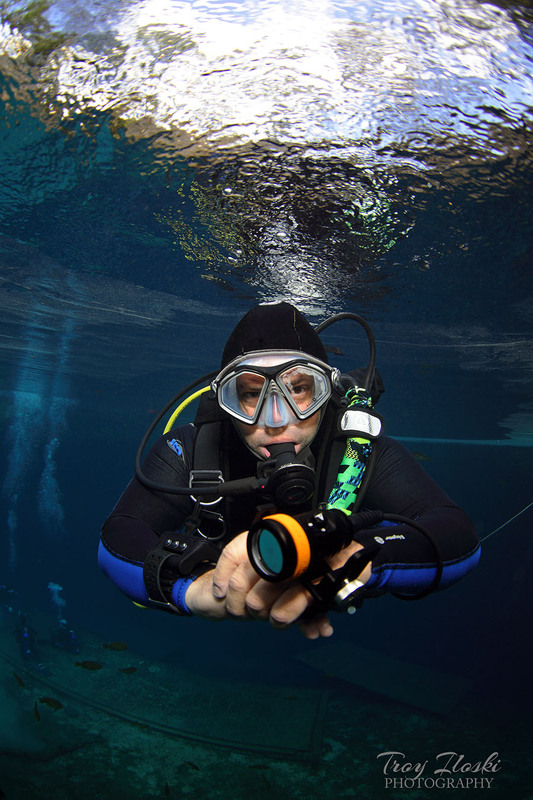 The easy use also with gloves, helps any divers for any underwwater solution; the switch can be locked when rotated 90°degrees, offering an easily operation avoiding an aacidental turning on of the light. The adjustable rotary ergonomic handle can be adapted to different needs and can be assembled before the dive easily. The torch, using 4 included rechargeable Li-ion batteries, has a maximun output of 2700 lumens, more than enough for photo or video light. Light angle can be adjusted to 120°degree mas for superwide lighting, and the max depth rated to 150mtr. As underwater photographer, I can say that OrcaTorch D620, helps to have an optimal lighting in any situation without limitation, the battery pack well positioned into the BCD does not limit the movement.